The Monthly Mathlete award is given to one career prep student, one college prep student, and one honors student every month. These students are nominated and chosen by the Math Department on the basis of their hard work and leadership in the math classroom. They will have their pictures posted in the Math Wing for the month and will each receive a coupon for a free MTO at Sheetz. 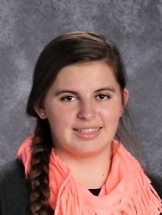 Audrey Paterson was chosen this month as a result of her tenacious effort to understand and excel in Algebra 1. She strives to complete every assignment with perfection and does not hesitate to take on any optional work or challenges. All her assignments are completed on time or early with a high level of accuracy. She has also demonstrated a willingness to work alongside and help anyone in class who asks, answering questions for her classmates or working with them. 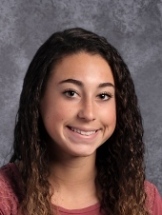 The effort that she puts forth and the character she displays do not go unnoticed and will serve her well as she continues through and beyond her high school career. successful in math. Nice work, Micah! Posted on December 20, 2018 December 20, 2018 Author bpongraczLeave a comment on December Mathletes! 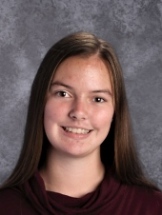 Eleanor Helm was selected for this award as a result of the hard work and effort that she put into learning new content and excelling in Honors Geo/Trig. She is incredibly thorough as she tackles new ideas. She is not afraid to ask questions, and she is willing to both kindly give advice and receive it openly from other students as she practices new and challenging concepts. Eleanor strives to put forth her best effort in everything she touches, and it does not go unnoticed. 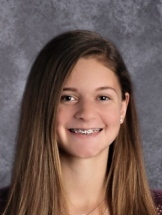 As a result of her positive attitude, her thorough attention to detail and logic, and her well-practiced work habits, she earned the highest grade in her class for the first marking period. Keep up the great work, Eleanor, and you’ll find success throughout your schooling and far beyond it! 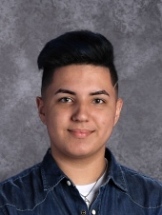 Raudys Pineda Rodriguez has been selected for this award due to his average of 96% last marking period, the highest in his class. He is always prepared for class and ready to learn. He works well with others and always asks for help when needed. His hard work and dedication is something to be proud of and his efforts have not gone unnoticed. He asked to be signed up for homeroom to make sure he was completing his work correctly, which shows great initiative on his part. Keep up the good work, Ruadys! Your teachers are so proud of you! Posted on December 20, 2018 December 20, 2018 Author bpongraczLeave a comment on November Mathletes! 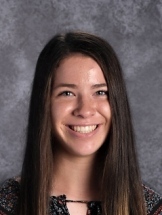 Aliya Trussel has been chosen for this award as a result of her determination for success, to truly understand calculus concepts, and drive to learn independently, both of which make her stand out from your peers this fall. It was such a surprise to her teacher to set up Khan Academy assignments, to find that she already explored and completed many of them independently. The creativity in her limits project also stands out, not only in the appearance of her poster, but her approach to the regression line, and her topic choice was unique. Aliya’s persistence in learning also stands out; when she seeks out feedback, she never gives up and is always willing to each problem again. Thank you, Aliya, for your effort thus far. Your teacher is so happy to have you in AP Calculus, and is looking forward to the rest of the year! 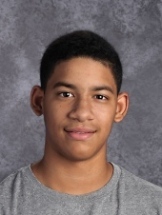 Joadel Pabon Quinones has been chosen for the award because he has been the top Intro C student in his class, earning a 99.5%. He is always prepared for class and always has a smile on his face. Joadel is always willing to volunteer answers and help those around him. His 100% on both of the recent polynomial part I and II tests is the first that his teacher has had while teaching Intro C. He is quick to pick up on content, and when he is not sure of something, he always asks for help. Continue doing a great job, Joadel! Your teachers couldn’t be more proud! 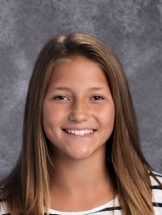 Keegan Diggs has been chosen for this award because of her work ethic and determination to keep up with her school work as both a cross country and golf athlete, making her stand out among her peers. 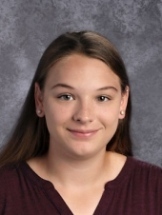 Her teacher appreciates that Keegan always takes the time to tell her ahead of time when she will be missing class, collects work that she will be missing, and completes the work. At a young age, Keegan already has a good understanding of the extra responsibility of being a student athlete. Her efforts really stand out, and her teacher is happy to have her in the class. Keep up the great work, Keegan! Posted on November 6, 2018 December 20, 2018 Author bpongraczLeave a comment on October Mathletes! extends to concepts and reasons behind those steps. He makes himself available to help his peers and is willing to learn from them, as well. 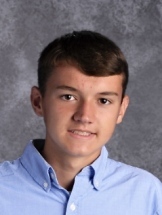 His consistency has enabled him to earn the highest grade in Geometry for the third marking period, and will continue to serve him well as he journeys through high school and beyond. Keep up the hard work, Andrew! Ashlyn Rohrer has been chosen as a result of his hard work and responsibility. He consistently has his homework completed, with his work shown and well organized, indicating a strong sense of mathematical reasoning. 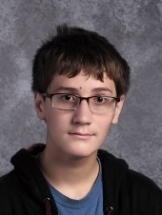 He earned a 92% during the third marking period and currently has a 96% in the fourth marking period, in part, because he scored a 95% on the Polynomials Unit test. He also has demonstrated personal responsibility by mastering 377/412 topics on ALEKs ahead of the target due date. But his teacher is most impressed by the way you behaves in the classroom. 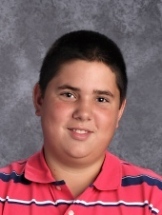 He is respectful towards the teacher, kind towards his peers, and willing to work with any student when asked. These are all evidence of his good character. 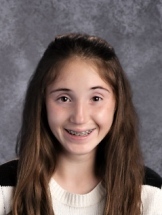 Isabella Peters has been chosen because her work ethic in acquiring the math skills of Algebra has been exemplary all semester. She takes every opportunity to fine tune her skills and completes her assignments to a high degree of accuracy. She always graciously works with others to help them in attaining the same level of understanding that she has achieved. 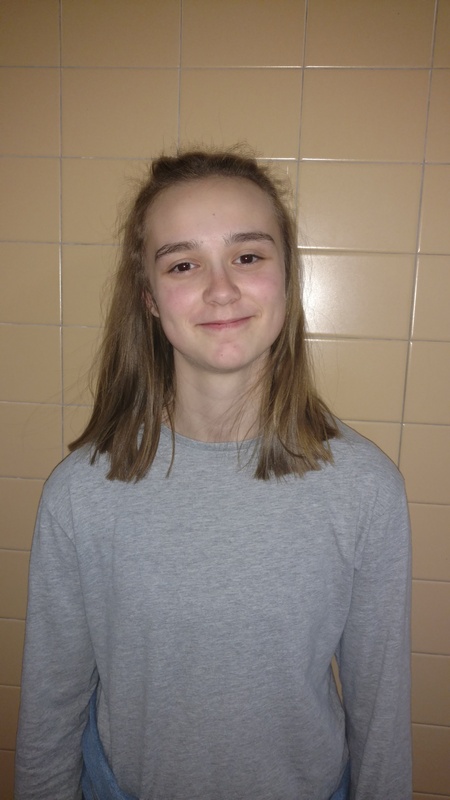 As Softball season began, she had to take on completing more assignments outside of class because of early dismissals for sports, and she has excelled. Being busy has increased her focus to achieve in the classroom, as well as on the sporting field. completed to the best of his effort and his extra effort does not go unnoticed. Morgan Kidger is receiving this award because she has been doing an excellent job in Algebra 1. Since she moved here from England, she has consistently done well on tests and quizzes. She always completes your assignments to the best of her ability, while working to learn new skills and concepts. Moving to a new school is never easy, and the transition to a new country presents its own set of challenges. She has handled this transition very well, and has been a great addition to our school. Keep up the good work! Audrey Jachimowicz has already shown great knowledge and intuitive reasoning in Honors Math Analysis. She has one of the highest grades in the class and has performed extremely well on everything the class has done so far. She has not needed to ask for help or further explanation on any topic, and she works well with others in the class. Her performance has been impressive. Keep up the great work, Audrey! 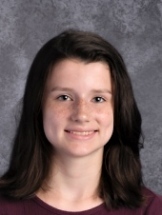 Brianna Nissley was chosen for this award because of her stellar performance and exemplary behavior in math class! Her teachers appreciate her willingness to volunteer on a daily basis and that she always does so with a smile on her face! Her dedication to completing all assignments with the utmost care and accuracy is a true reflection of her character. Brianna, we hope you continue to work hard, aim high and enjoy the privilege of learning! Madison Pitz was nominated and chosen for this award because of her hard work and diligence both in and out of math class. She is willing to participate in class discussions and is not afraid to ask questions of her own. She faithfully completes all of her classwork and homework as accurately as possible, even when she is absent. She has also shown willingness to help other students who have questions and works well in a small group. Keep up the great work, Madison and you’ll continue to find success in each class and beyond! Anna Sugra is receiving this award because her work ethic stands out in her AP Calculus AB class. She invests in her education by asking questions and taking ownership in her learning. She chooses to attend homeroom regularly to study and increase her comprehension of calculus. She displays grit and persistence in her approach to solving problems. Her willingness to work until she understands and that she is reflective about her learning has earned her the admiration of her teachers. Hopefully, more students will follow her lead in approaching learning mathematics. 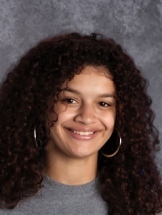 Katiana Garcia is receiving this award because she serves as a leader in her Algebra II class. By having her homework always completed, she is able to participate in class on a daily basis. She invests in her education by asking questions and taking ownership in her learning. She has a genuine desire to achieve, and is a great pleasure to have in class. Her kindness and fun personality brightens the class, and is greatly appreciated. 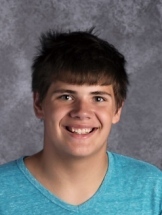 Nathan Thompson is receiving this award because he has demonstrated a calming leadership in his CP Algebra 1 classroom. 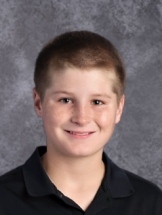 He is so very willing to work with any and all of his classmates; he takes the initiative to help others who are struggling or frustrated with an assignment. He has a positive disposition and an eagerness to learn, which makes the classroom environment so much more conducive to learning. He also volunteers to do classroom management tasks such as distributing rulers, whiteboards, and worksheets. He has his teachers’ thanks for all that he does. Keep up the great work, Nathan! Emily Aukamp is receiving this award because she has been a model student in CP Statistics from the beginning of the year. 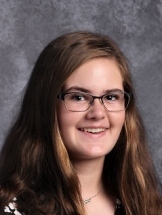 She earned the highest average for the first marking period of all CP Statistics students, and she followed that up with a perfect score on the midterm exam. 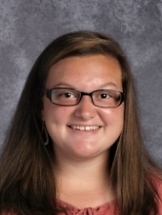 She has shown great responsibility in keeping up with her coursework amidst missing classes due to FFA commitments. Her work ethic and leadership qualities set her apart as one of the top mathematics students! 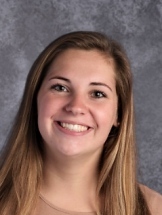 Erica Shaub is receiving this award because she has shown tremendous knowledge and ability in AP Calculus BC from the beginning of the year. She currently has the highest test average in the class and has been a high scorer on every assessment. Her demeanor is always positive, and she always works well in group situations. 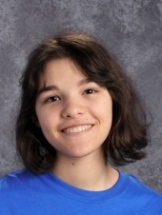 She could not have started the year in more impressive fashion, and has established herself as one of the top math students at Penn Manor High School. Rory Campbell is receiving this award due to his work ethic which has not gone unnoticed. He is always on task in class. He helps others when needed. He also makes an effort to come in for homeroom when he recognizes that he needs extra help on Weekly Reviews and other assignments. He continually works hard and does his best in class. He is also always polite and respectful. Congratulations, Rory! Keep up the hard work. Abby Stoner is receiving this award because she has been a model student in her CP Algebra 1 class. She is responsible, exceeds the expectations for the course, and is always one of the first students to answer or ask questions. Most importantly, she has a great attitude and is respectful to her teacher and her classmates. 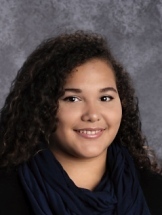 She currently has one of the highest grades in the class for the first marking period and will hopefully continue her success into the second marking period. Ashley Sanchez is receiving this award as a result of her diligence and hard work in Intro Algebra 1C. She has been faithful in completing every assignment promptly and accurately, and has regularly submitted her weekly reviews early to get them checked. Ashely takes on challenges and optional assignments that exceed the requirements of her class to deepen her understanding of concepts. Keep striving for excellence in everything you do and keep up your positive attitude, Ashley, and you will go far! thinking. Her teacher has confidence in her ability to be successful in an AP level course next year. Posted on October 20, 2017 October 20, 2017 Author bpongraczLeave a comment on October Mathletes! This award is given to one career prep student, one college prep student, and one honors student every month. These students are nominated and chosen by the Math Department on the basis of their hard work and leadership in the math classroom. They will have their pictures posted in the Math Wing for the month and will each receive a coupon for a free MTO at Sheetz. Whitney Eichelberger is receiving this award as a result of her hard work in CP Algebra 1B. She has been such a pleasure to have in class this semester. She is very hardworking and is always willing to help others. She always has her homework done (including weekly reviews and ALEKS). She is one of the top students in the class. and it doesn’t go unnoticed! 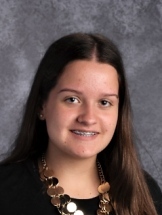 Her teacher was very impressed when she created customized cards for every student in the class to give them encouragement for the Keystone Exams. She will certainly be very successful throughout the rest of your math career here at Penn Manor. Kyle Ament is receiving this award because of his hard work in Honors Geo/Trig. 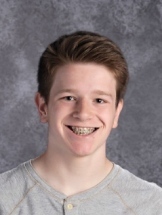 He readily accepts challenges and optional assignments, and he uses every second of class time to ensure that he understands each concept and completes everything with accuracy. He has also shown a high level of responsibility and accountability in ensuring that he was prepared to be absent for several days at a time, enabling him to come back to class without missing a beat, having already completed every assignment he missed. 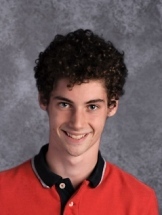 His great work ethic, quiet and kind demeanor, and his ability to work well others will be invaluable throughout his high school career and beyond. Keep up the great work, Kyle! 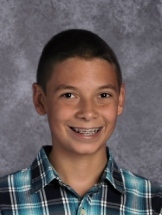 Anthony Villeaume is being recognized for his hard work in Geometry. He has been by far the top Geometry student so far this spring semester (and probably in all Geometry classes his teacher has had). His teacher enjoys having him in class and his work ethic is amazing. He volunteers answers frequently and always gets his work turned in on time. His teacher also enjoys the fact that his team names for class competitions come from a random chapter of whatever book you are currently reading. His teacher is also amazed at how much he loves to read and thinks that it is awesome that he reads all the time. Best of luck after graduation, Anthony, and we wish you continued success in anything you do after high school.